Clobber Creations is the home of handmade quirky, decorative, and practical items! I produce handmade clothes, accessories, and machine embroidery items. In other words I am extremely passionate about sewing and crafts in general. More recently I have been experimenting with making my own patterns, beginning with some classic makes I have created frequently for gifts. 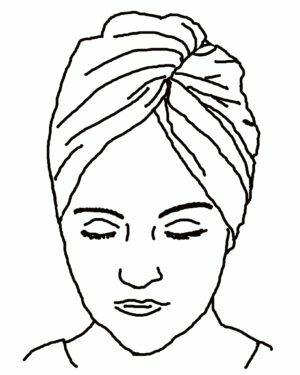 You can download my first pattern ‘Hair Towel Turban’ for free from my shop. I produce handmade clothing for myself and others. 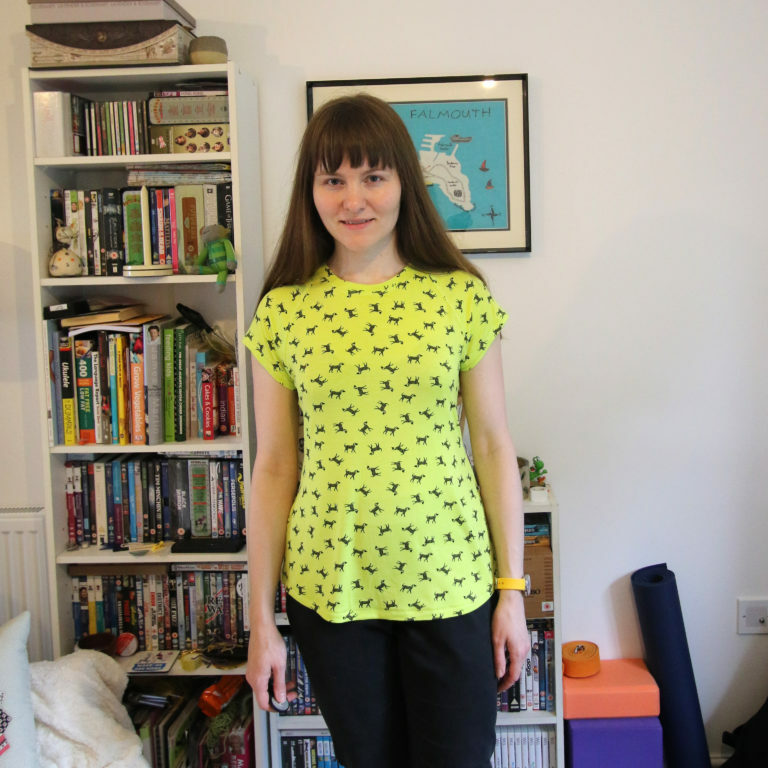 As my experience with sewing patterns has grown, I have been reviewing patterns, for example the Frankie T-shirt from the Tilly and the Buttons Stretch! book. Handmade clothes can also make fantastic gifts. I make a range of items for my home as well as accessories for myself and loved ones. I became passionate about recycling textile waste. For example you can see the upcycling of a pair of jeans into a sewing pinny here. Upcycling is a lot of fun and can reduce textile waste. In addition, I enjoy making items for the home and for my craft hobbies. 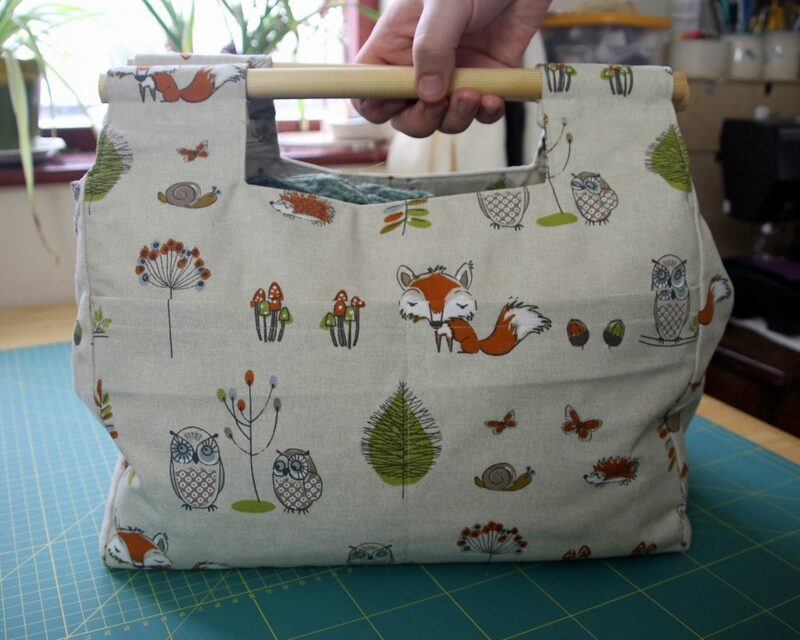 For example, I made a bag to carry knitting projects. Also, I have reupholstered furniture including a pouffe. I have developed a passion for machine embroidery. Drawing with stitch is a fantastic way to embellish items with a truly unique and personal touch. 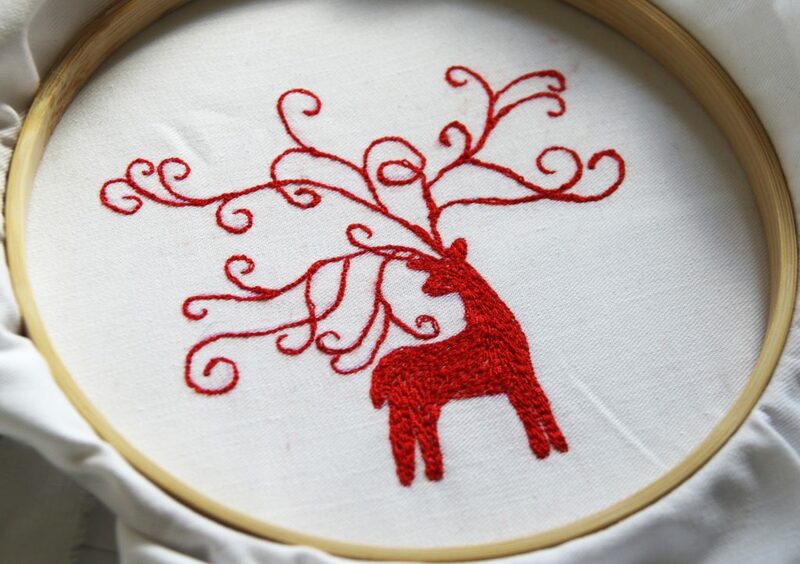 Free motion embroidery adds personality and individuality in my makes. It’s excellent for gifts, handmade cards, and producing framed artwork. Framing and hanging machine embroidery art is very rewarding. Check out more video content for tutorials, pattern reviews, general vlogging and machine embroidery videos on my Youtube channel.